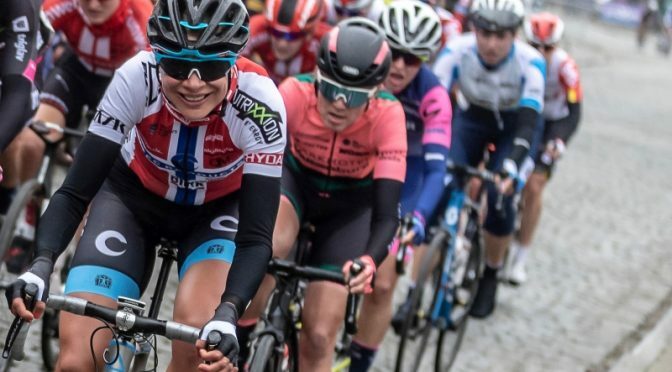 The Women’s World Tour classic Gent-Wevelgem didn’t get Team Hitec Products – Birk Sport a result that was hoped for. It was a hard race in Belgium, with a lot of riders not making it to the finish. 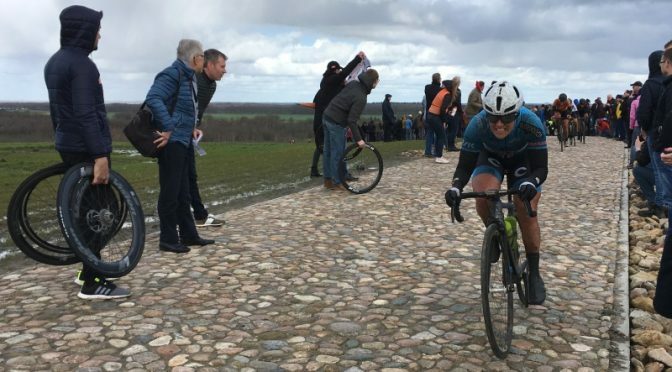 Lonneke Uneken, who finished second in the junior women edition of Gent-Wevelgem in 2018, was the only rider of the team who ended the race. She came in 88th place. Already in the team since the summer of 2014, Norwegian champion Vita Heine is one of the most experienced riders of Team Hitec Products – Birk Sport. After racing the Setmana Ciclista Valenciana, Omloop Het Nieuwsblad and Le Samyn des Dames, she is now up for her fourth race of the season. Next Sunday Vita will race Gent-Wevelgem. Time to meet the 34 year old rider, who won the Norwegian championships three years in a row. 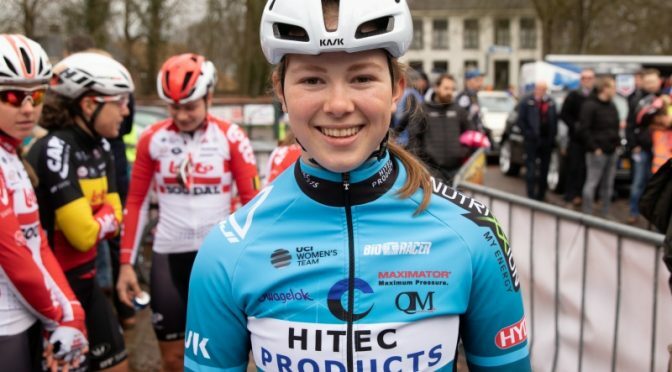 For Julie Meyer Solvang the 2019 season is the second one as a member of Team Hitec Products – Birk Sport. 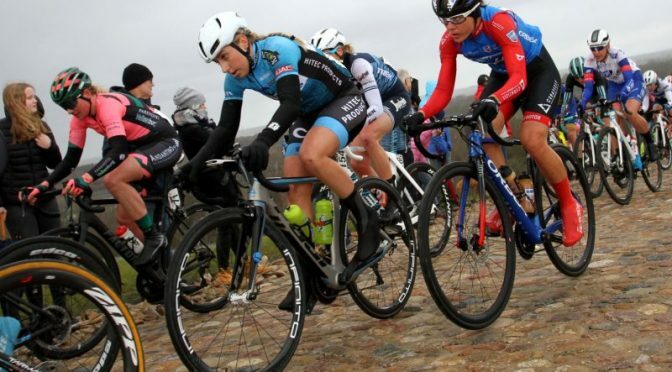 After racing the opening weekend with the Omloop Het Nieuwsblad and Omloop van het Hageland, her third race will be Gent-Wevelgem this weekend. “I like the typical Belgium and Dutch races”, she tells us in this second interview that we do to introduce the riders of the team. 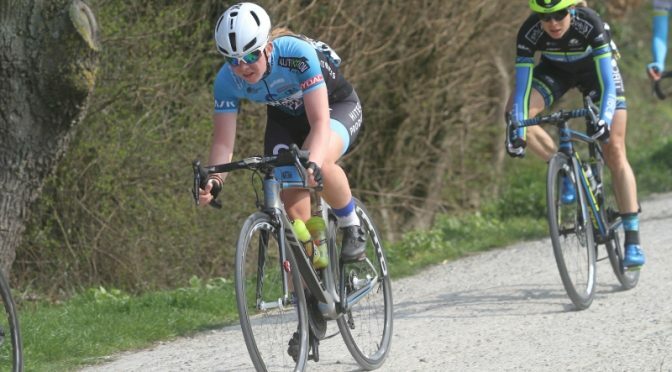 On Wednesday the first edition of Nokere Koerse for women was raced. The race, which for the men is already organized for the 74th time, ended in an uphill bunch sprint. Dutch rider Lorena Wiebes of Parkhotel Valkenburg took the win. Promising was the result of Chanella Stougje. After an accident last year, she this season already showed good form and now saw that rewarded with a 15th place. Lonneke Uneken finished 19th. Two days after the Drentse Acht van Westerveld, the Ronde van Drenthe was on the program on Sunday. 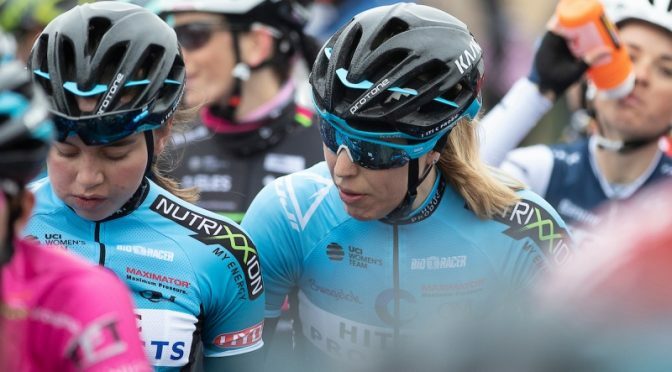 The first World Tour race for Team Hitec Products – Birk Sport in this season and already the tenth year in a row that team took part in the race. Just like Friday it was a tough day for the peloton. This time without a good result for the team, for a large part because of bad luck.